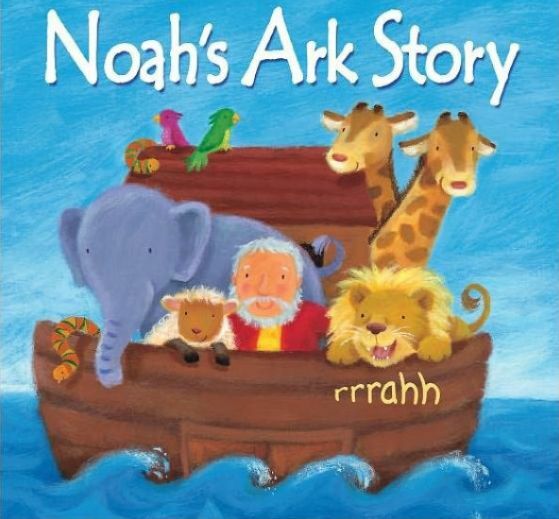 Noah's Ark: A cute little story? Or a devastating historical event? 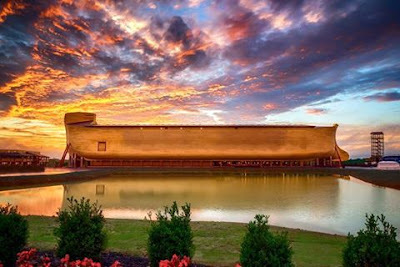 ...have led thousands and thousands of people to believe Noah's ark was a cute little tub happily bounding along the sunny seas, and not the serious event that it was. I personally rate it as the third most serious event in the humankind's history, after the Fall and the Crucifixion. Ken Ham and the Creation Museum folks have built an Ark to biblical size. Guess what? 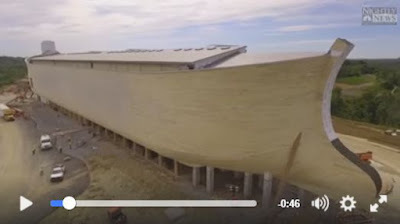 In the face of this world's current love affair with massive buildings, its penchant for tremendous construction projects, and its historical stunning size (it was twice as long as Caligula's ships at Nemi) the fact is, at 510 feet long and 7 storeys high the Ark is the biggest timber frame structure in the world today. Imagine how stupendously awesome the structure would have been to the ancients. The pyramids were not built yet. The above picture (the cover of a children's biblical storybook) displays the unfortunate reduction in majesty and scope of the entire Noah/Flood/Judgment event. Below is the reality. Here is NBC Nightly news's video report on the Ark building from July 1, 2016. Picture storybook illustrations are just as much a part of the recounting as the words. Be mindful of the diminishing of the seriousness of the event with the illustrations you share.